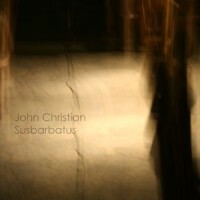 Susbarbatus was released on 31October 2009 at Hampshire Jam 8 where John was performing as part of AirSculpture. Additional notes: Track 2, "Los Ashes" is in two distinct parts. 0:00 - 4:10 is a slow dark melodic segment; after a stark digital bridge section the remainder from 4:50 is an up-tempo sequencer workout. The first part includes the oldest material on the disc, recorded in an LA motel room in 2005. 2009. Press Information My original idea was to work on the material performed at HJ5 and quickly release an album that would be more or less a new improved version of the Bohunt cdr. This didn't go to plan, not least because it wasn't meant to take three years! Susbarbatus does have a couple of tracks that are based on that material, but in significantly more polished form. There's also a live track from HJ. The remainder of the album is brand new material. The backbone of the album is made up of heavily sequencer driven tracks (no surprise there then). They are more structured and melodic than my work with AirSculpture but I've tried to retain the same kind of energy. There's also a track of deep-space ambience for a change of pace. The closing track is all sequencer, but in a way that evokes Steve Reich more than the Berlin School (or maybe just Love on a Real Train!). John Christian John Christian is one third of AirSculpture and if you like that band you should also love this. It is really his first solo album though there was the earlier ‘Bohunt Sabotage’. That release however was really more like a limited edition promo. It was good though really just a sketching of ideas he was working on at the time. ‘Susbarbatus’ is the genuine article and rather superb it is too. We begin with the title track. After the customary atmospherics we get a storming sequence, fizzing round the edges like steam spewing from a train escaping from Hell. A delicate lead provides a little softness while a second sequence propels us forward at an even greater pace, becoming more intense all the time. Absolutely brilliant! ‘Los Ashes’ gets straight into the sequence, slow and purposeful accompanied by a dark menacing lead. It’s a track that would have been very much at home on Tangerine Dream’s ‘Sorcerer’. At around the half way mark all is replaced by shuffling effects then a slightly more optimistic sequence breaks through as if we have left the darklands behind us but the future is still very much uncertain. ‘Brane Storm’ starts quietly but gradually the drones and effects become more intense. This is brooding, grumbling stuff bringing up images of all sorts of unpleasant things hiding in the shadows. Listen to with the lights on! ‘Forest of Weaver’s Beams’ immediately returns us to the sequences, two absolutely exquisite ones that got my whole body moving. Bass stabs create even more urgency, a rapid staccato loop acting almost like a warning siren. The real highlight now though is the gorgeous melancholy melody that reaches straight for the heart. Yet another sequence accompanies it, much faster than the lead but appropriately tender. Another absolutely awesome track. Not sure where ‘Mangrove (live)’ was recorded but I assume from John’s Hampshire Jam performance. A no nonsense purposeful sequence emerges out of swirling, whooshing atmospherics. A mid paced lead takes centre stage as a second sequence falls into formation with the first. Another lead, softer than the first, adds a pleasant contrast. Much of the album, up to this point, has a late seventies Berlin School feel to it but ‘Antiquark’ seems to fast-forward us slightly to a more early eighties sound, reminding me a little of the TD tracks from ‘Risky Business’. It features some beautiful melodic sequences and provides an excellent conclusion to a superb album. All three AirSculpture members have now produced output outside the band and some fine music they have released too but though John might disagree, this is closest to the AirSculpture sound. DL John Christian is one of the members of the English band Air Sculpture. For "Susbarbatus", he wanted to extend and further explore the ideas he had come up with on his cd-r "Bohunt". Unfortunately, things didn't work out as planned, so the backbone of "Susbarbatus" became "a set of sequencer driven tracks, mixing moody atmospherics with expressive melodic lines". As a whole, I second John's opinion they sound more structured compared the Airsculpture music, also in the way of "more well defined melodies". The nine minute title track starts out in Airsculpture-fashion with nice Berliner School sequencing & melodic lines that ask for more. A highly cinematic and slow approach is taken on the first half of "Los Ashes" (which actually could be a TD-track) before the music heads for a sequenced style. The music of "Brane Storm" takes a sharp turn as is ventures into lovely deep space territory with its well-rendered free form textures and even some lovely mellotron pads. I wished this track had lasted a bit longer. But with "Forest Of Weaver's Beams" were back to business in melodic Berliner School- style, which overall reminded me of Rolf Trostel's album "The Prophet". "Mangrove" is a sequencer track with a bit of a dreary solo voice, recorded during Hampshire Jam festival in 2006 (John's only solo concert to date). The closing track "Antiquark" flirts with TD's "Love on Real Train" in its minimal, sequenced style, which according to John has more Steve Reich to it. All in all,"Susbarbatus" makes a worthy addition for all who love retro sequencer electronics. 2009. Bert Strolenberg / Sonic Immersion John Christian’s solo effort Susbarbatus goes back to AirSculpture’s early, more structured style, as demonstrated on the stellar debut Impossible Geometries. Each track is given just enough room to grow, for example the title track with its dreamy atmospheric beginning, which gradually evolves into a cacophony of white noise whooshing by. After it fades a pulsating sequence begins with warm synths wavering over the top of it. A synth lead soars above that as some really nice layering and blending of sounds occurs. It is a gem of a track and a perfect opener to the album. "LosAshes" is next, in a significantly different version from Christian’s debut Bohunt Sabotage. This has Tangerine Dream’s Sorcerer written all over it, with a deep, slow bass pulse and an ominous tone. It changes completely 4:00 into it as a brisk sequence vaguely reminiscent of Steve Roach’s Life Sequence CD emerges, replaced a minute later by bouncy, playful sequence that builds with hints of TD’s Logos about it, fantastic. "Brane Storm" makes a good change of pace with dark, brooding, metallic timbres and nary a sequence to be found. "Forest of Weaver’s Beams" is my personal favorite with its bright pinpoint sequencing, crisp percussion, and once again stellar melodic lead lines on synths. The intricate hypnotic sequences in "Mangrove (live)" and "Antiquark" are first-rate as well. In short, for classic Berlin school fans there’s a lot to love here. 2010. Phil Derby / Electroambient Space John Christian is a member England EM band Air Sculpture and, in Susbarbatus, he presents us a strong 2nd opus filled by heavy and lively rhythms that has nothing to do with the long atmospheric improvisations of the English trio. It is with a fleeing and flickering wave that the title track opens. A morphic synthesized veil which zigzags lazily launches Susbarbatus, where choirs and mellotron atmospheres float in an ethereal universe before embracing a beautiful sequenced movement coated by a sweet rhythmic of bass. Accented, the tempo bites ears and progresses in a captivating cloud of stratas which a synth to melodious solos unfolds under a hammering sequential approach, bringing a very progressive dimension to this beautiful and catchy Berlin School. A beautiful opening which leads us to the dramatic and intriguing Los Ashes. Divided into 2 sections, Los Ashes opens with a bass taken out of hell and which pulses with a hypnotic slowness in a strange catastrophic universe. The approach is dark and near TD soil with its flow which swims between two rhythms and its synth to ochre stratas which wrap a desert earth. At the middle course, this crossed rhythm is suspended to give way to a sound passage which scrolls by sections, accelerating constantly the pace to dive towards a heavy sequence to sharp strikes which multiply in a drummed chaos, stuffed by wrapping layers that engulf Los Ashes as waves gobble up cliffs. A superb piece of music at once hypnotic and striking! The heavy mellotronned drones of Brane Storm bring Susbarbatus back into the atmospheric furrows of Air Sculpture, but with a darker and obscure approach. A long caustic breath, filled with sonorous strangeness’s which coat a morphic piece which we listen as we live a dream. After this soft cerebral interlude, Weaver's Forest Of Beams falls straight in our ears as a sound sparingly that crosses both hemispheres of our speakers’ pair. To me, it’s got to be the most beautiful track on Susbarbatus, because it circulates with grace on a magnificent synth to tearful waves and a sequencer to fractured flow broken by its echotic chords which unwind such a timeless sound spiral. Not really given rhythm, but nor devoid of tempo, Weaver's Forest Of Beams enchants with its continual clashings which knock in an ambivalent structure where the musical poetry moulds to an ingenious sequencer. Recorded in concert at the 2006 Hampshire Jam, Mangrove spreads out by strikes of caustic layers of which the echoes get lost in an aquatic environment. A beautiful heavy and sharp sequence appears from this corrosive intro to draw an out of breathe rhythmic which runs under an exhilarating synth, from which sound forms espouse a sweet ghostly madness. Another good track on this John Christian's 2nd opus! Antiquark concludes Susbarbatus with a sweet minimalism melody which navigates enter soft sequenced chords of Love on Real Train combined to the atmospheric approach of Wavelenght, by Tangerine Dream. It’s impossible to not love it. Susbarbatus is a strong EM album. Its only fault is to be too short, because John Christian lugs us around in a sound universe fill of hooky and catchy sequences on a highly melodious synth and mellotron. As what EM can be as well beautiful as intrepid. Fans of Berlin School are going to devour that one. 2009. Sylvain Lupari / Guts Of Darkness Listenend earlier to the excellent solo album Subarbatus by Airsculpture member John Christian. If you like retro sequences along with lead line motifs/fx/pads then you need this one in the collection. 2009. Steve Humphries / UK Gaining the attention of the Spacemusic community in the trio AirSculpture, John Christian and his bandmates tested areas of sound and music that they would never have entered into on their own. Their epic concerts and recordings are realized through a collaborative process based equally on the creative tension between the three musicians, musical intuition and the inter-connectedness of this close-knit group. The CD Susbarbatus (49'45") is Christian's expression alone. Producing a solo CD after spending so many years in the context of a group allows this synthesist to bring works into the world that align with his vision exactly. Thinking in terms of time, the six tracks span much less of it than those of the often sprawling AirSculpture. Each composition develops in a determined fashion. With sequencers running in high gear while full-throated keyboard leads sing their heroic lines Christian manages to create a precise and familiar synth music. He also makes good use of his equipment's sound generating capabilities. In the collage sections, where a sustaining sonic atmosphere arises, animation is achieved through fascinating changes in timbre and texture. Susbarbatus shows Christian exhibiting his range as a musician and composer - in the midst of an ascending evolution.